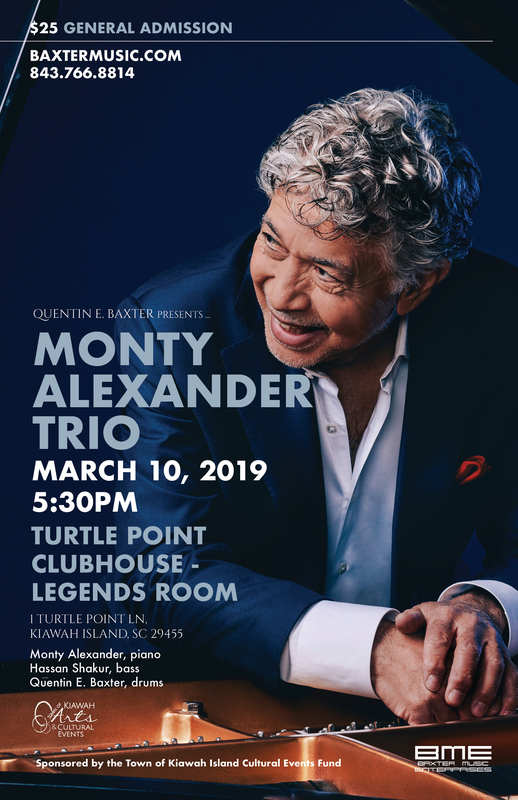 The third concert of the series features the Legendary Jazz Pianist Monty Alexander. Accompanying Alexander for the concert will be longtime bassist Hassan Shakur and drummer Quentin E. Baxter. In a career spanning north of five decades, pianist Monty Alexander has built a reputation exploring and bridging the worlds of American jazz, popular song, and the music of his native Jamaica, finding each a sincere spirit of musical expression. In the process, he has performed and recorded with artists from every corner of the musical universe and entertainment world: Frank Sinatra, Tony Bennett, Ray Brown, Dizzy Gillespie, Sonny Rollins, Clark Terry, Quincy Jones, Ernest Ranglin, Barbara Hendricks, Bobby McFerrin, Sly Dunbar, and Robbie Shakespeare, among others.